During our msic video, the main character will be given different tasks which will slowly guide her into become the girly girl which she wants to be at the end of the music video, so throughout this image will come up on the screen stateing what day it is and the task. We created this by placing the backgrond on photoshop then we used a lipstick brush to create a smdged affet an filmed us writing the word using the mouse. 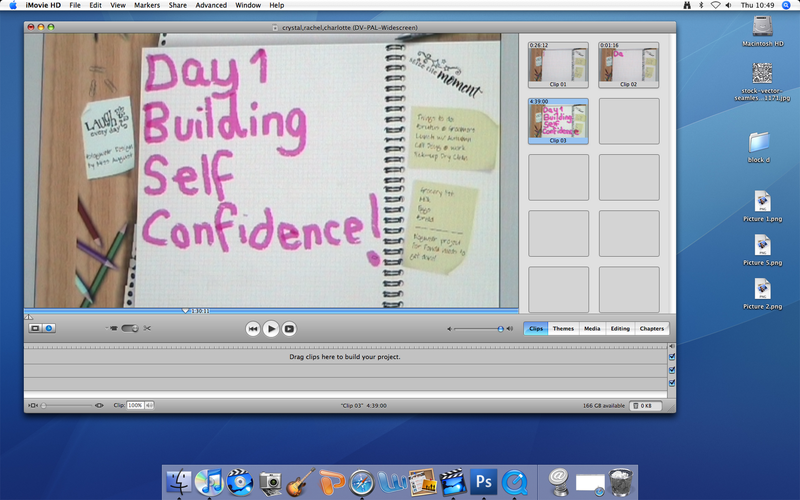 We then uploaded it to imovie where we wil sped it up to that it last 2 seconds.